Remember those stories your dad always told you about walking five miles through a blizzard to get to school reminding you that things aren’t like what they used to be? Well, that old saying does appear to apply to the cost of winter sports. The price of enjoying most ski resorts and winter equipment ain’t like it used to be. Indulging in winter resort sports, or gravity sports, costs a pretty penny these days. A family of four, consisting of two adults and two children under the age of 18, has to pay more than $6,000 to enjoy full access to the 2011/2012 winter season using the Colorado Pass, as an example. This pass includes unlimited access to Colorado’s premiere resorts; Vail, Beaver Creek, Breckenridge, Keystone, Heavenly, Northstar-at-Tahoe and Arapahoe Basin. 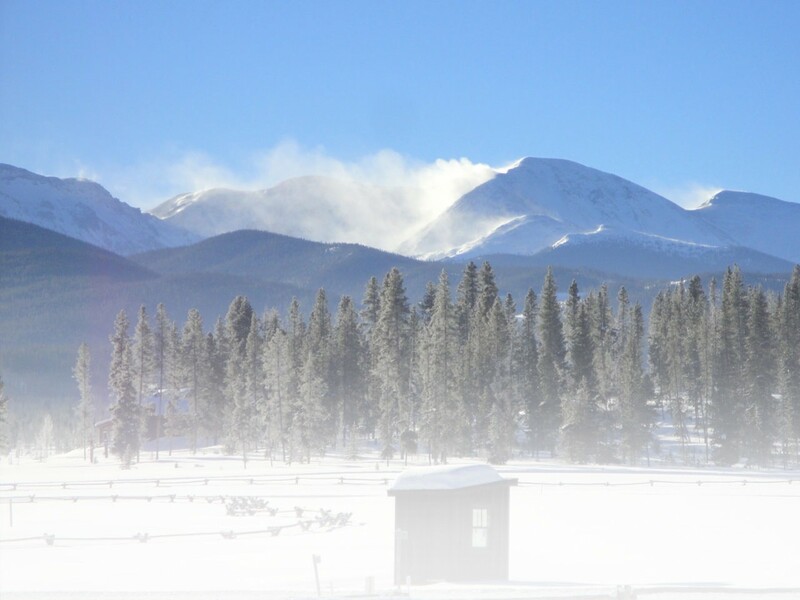 The less expensive multi-mountain pass is the Rocky Mountain Super Pass Plus, which includes Copper Mountain, Winter Park/Mary Jane and six trips to Steamboat. This Rocky Mountain Super would cost the aforementioned family nearly $1,900 for the 2011/2012 season. Now that you have a pass that allows you to enjoy the mountains you’ll need something to ride and wear. To equip that same family of four for two skiers, including skis, boots, bindings and poles – and two snowboarders including boards, bindings and boots – it would cost approximately $3,800. This price estimate was generated through a mock online shop at REI’s high-end ski equipment such as K2, Burton and Lange. More thrifty two plankers could purchase a children’s snowboard package for $300 and an adults for $600. It could be said that the high cost of snow skiing has driven people to the growing sport of snowshoeing. Outdoor sport retailers have noticed a significant increase in individual and economically sound sports like snowshoeing, said Steve Carpenter, General Manager of REI in Englewood, Colo.
“For the last five year’s there’s been a triple digit increase year over year,” Carpenter said about snowshoe sales at the Englewood REI he manages. Not only is snowshoeing relatively inexpensive when compared to snow skiing, it is attainable to most people near any open space. Snowshoeing allows for the kind of sport that avoids crowds and the hassles of the hustle and bustle. There are no long lines to wait in or lifts to navigate with complete strangers of varied skiing ability. Best of all, snowshoeing equipment is relatively inexpensive. All you really need is snowshoes, snowshoeing boots and warm clothing, according to Julie Hudetz, outdoor enthusiast and Snowshoes.com’s “Get Going Workshop” speaker. A cost analysis of current snowshoe areas and equipment estimated an average family of four could spend around $1,700 for the top equipment and best locations. But a thrifty family could outfit themselves with equally great gear and snowshoe for an entire week for around $480. The purpose of this comparison is not to suggest that winter resort sports are unattainable. To be fair it is acknowledged that this comparison of downhill ski and snowboard sporting poignantly looks at the expense side of equipment and resort passes. The point of this article is to provide glimpse of how easy a good intention, such as a long ski weekend with the family, can cause your budget to spin out of control. There are economical ways to participate in winter gravity sports. Available resources help you continue enjoying winter “resort sports.” Websites such as www.skicolorado.com and www.liftopia.com offer discount lift tickets and packages. Ebay and other online retailers and shopping outlets are useful tools for enthusiasts to purchase affordable equipment and clothing. Every now and then an extreme trip down a mountain is needed. But, if you don’t want your zest for the outdoors to be silenced by a tight wallet, give snowshoeing a try; it’s a budget-healthy sport. Individual Adult and Young Adult Vail and Breckenridge Season Passes are no longer available for purchase, the above costs are for the Epic Pass. The Epic Pass includes Vail, Beaver Creek, Breckenridge, Keystone, Heavenly, Northstar and Arapahoe Basin. Snowshoe equipment pricing: www.atlassnowshoe.com, www.tubbssnowshoes.com, www.msrgear.com and www.kahtoola.com. This entry was posted in Features, Gear, General, Homepage Featured by Anna Duggan. Bookmark the permalink. this is exactly why I switched to snowshoeing and XC skiing. The costs of down hill are crazy. I bought top of the line Tubbs and Columbia winter boots both on sale for about $300 combined (two years ago). All it costs me to go is gas to get to the trails. All the trails in my area are fantasic and free! County Land conservancy areas, DNRE state land, state parks, rail trails and sections of the North Country Trail are the best plus most of them are marked and maps are available. I find it just as much fun with no lift lines or rudeness to mar the day. Very happy I switched, now I can get out and enjoy winter much more often and not even rattle the budget! when i was 17 i made my own snowshoes much like our fore fathers and at 45 still enjoy those snowshoes. i live in a log cabin along the east coast so the minute i walk out my door i’m snowshoeing. it’s a way of life that i wouldn’t change for anything but i’m also a boarder.